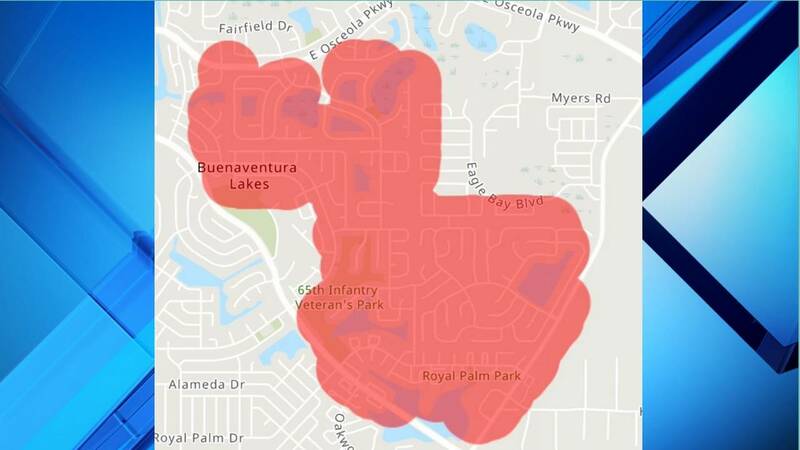 KISSIMMEE, Fla. - Power has been restored to over 2,000 customers in Buenaventura Lakes in Kissimmee, according to officials from the Kissimee Utility Authority. KUA officials tweeted that 2,136 customers are affected by an outage in the area just after 12:30 p.m. Saturday. Crews fixed the outage at 1:10 p.m. They said it was caused by a fallen tree on a power line. This outage comes after another power outage on Sunday in Kissimmee. That outage affected 54 people.